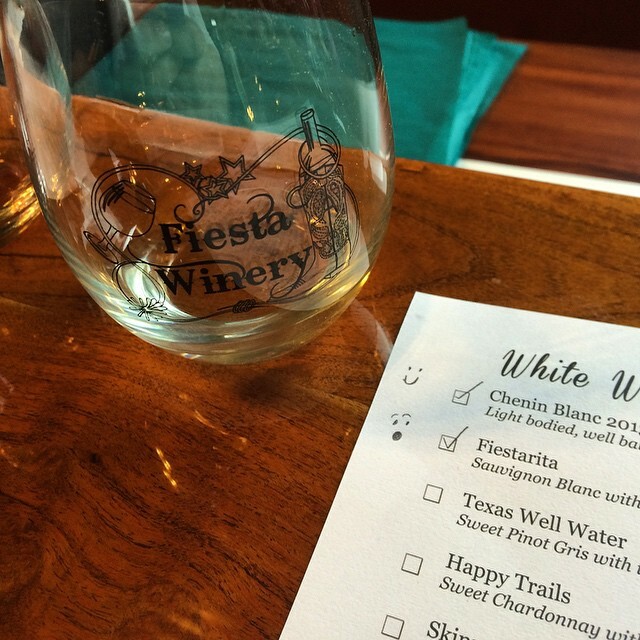 When my mom was visiting most recently, we headed out for a day of wine tasting and shopping in Texas hill country. While we played the “let’s see which white is the least sweet on this tasting menu,” a glorious idea happened. 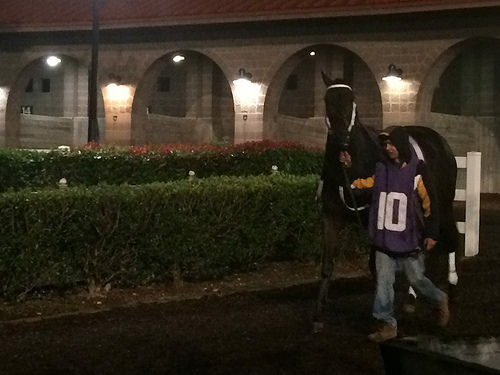 It’s the fall Thoroughbred season at Retama Park! 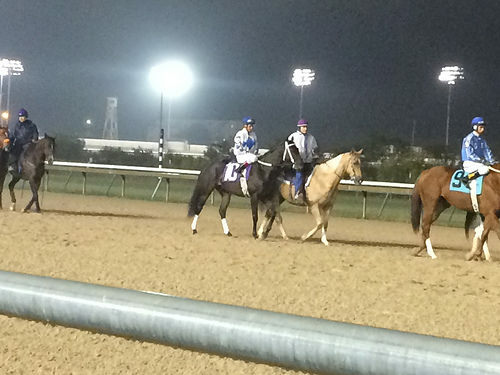 My mom had never been to a horse race before, and going to the races in Texas was on my 30 under 30 list… so we headed out to the track for a 6:45pm post time. My only regret and sadness is that I didn’t have my nice camera with me… so prepare yourself for cell phone pictures. Don’t worry, it kills me too to look at them but I figured it was better than not documenting at all. 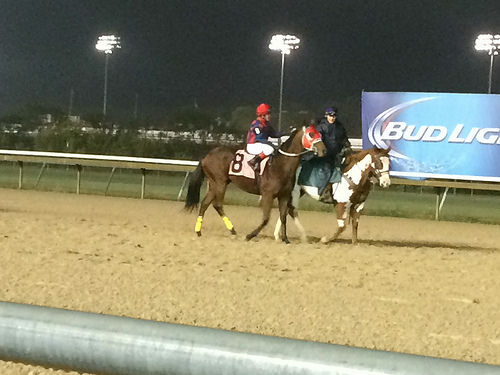 The only race track I’ve ever been to is Fairgrounds in New Orleans, which is a really nice track. 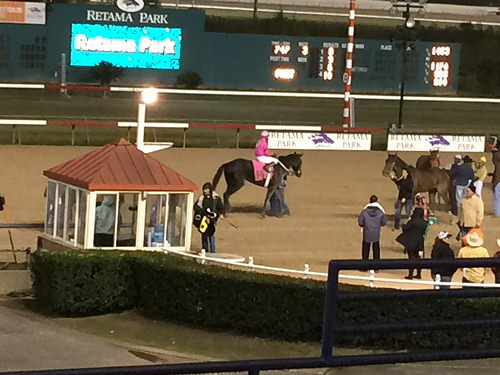 Retama Park isn’t exactly nationally famous, and I told my mom that I wasn’t sure what to prepare her for. Gleaming beautiful track awaiting us? I wasn’t so sure. 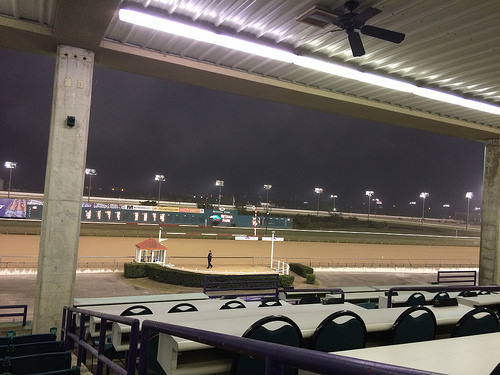 Turns out, any concerns I had about Retama Park were completely unfounded. We could see the lights for the night races a mile away and were greeted by lots of friendly track staff as soon as we walked in. Everyone appeared very happy that we were there to check it out, especially when they heard it was our first time. I guess the track has been fairly recently remodeled, but everything was spotless. We even got free hats with admission… I love free things! The weather here this past weekend was uncharacteristically blistery, so we ended up watching most of the racing from the heated indoor area on the second and third story. That’s a plus because it was toasty warm, but a minus since I couldn’t easily get to the paddock before each race to watch the horses. Maybe I have an inflated sense of my horse knowledge, but I feel like my betting is way more accurate when I can get a look at the field first! With this strategy in mind, we picked two winners for the night. Won about $10… which only had us come in a little under for the evening. The first race was Arabians, which I had never seen before. 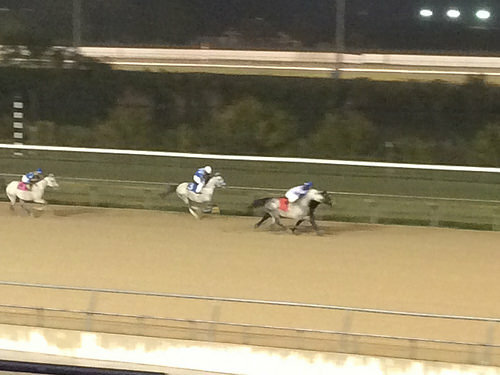 Overall, I felt like they were really, really slow looking… which I’m sure Arabian fans will disagree with! After that it was all Thoroughbreds. Mostly the races were for maidens and old claimers, but all the horses looked in really nice shape. There was a $75,000 stakes race that evening which we didn’t stay for, but for the most part it seemed like these were your blue collar type races. Horse fans and middle of the road type horses plucking along and doing their thing. It was an entertaining evening, and I’d go again. It’s not somewhere I would expect to see the next Kentucky Derby winner though, although I guess you never know! 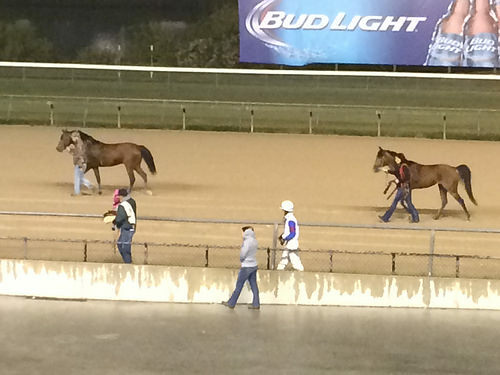 Next on the list is going to the Quarter Horse races in the summer, because I’ve never seen the sprinters in person. That will have to be on my 31 list though! Have you ever seen live racing? 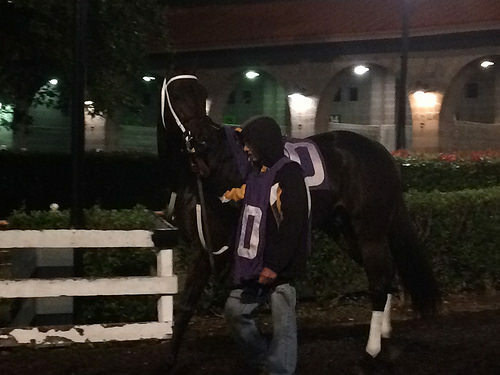 They periodically run Arabian races at Delaware Park. I think they’re the funniest thing ever. I love horse racing, glad you got to go! Never been, would love to go though! Saw greyhounds for the first time this year. How was that? 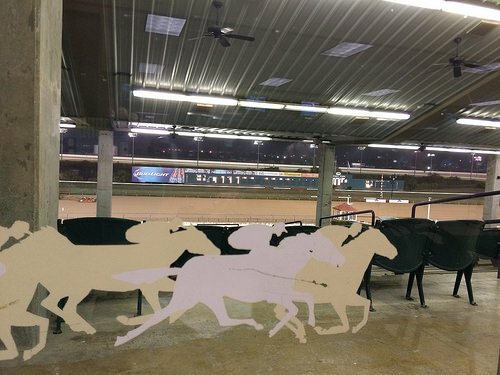 For some reason, I’m more meh on greyhound racing than horse racing. Quarter horses are really fun to watch. It’s pure chaos for like 8 seconds. I love the little tracks. I used to go to Canterbury Park in MN all the time when I lived there. I haven’t gotten over to Emerald Downs yet. That will have to be next summer. Looks like y’all had a great time! I’ve never seen Arabian racing! I’ve seen harness racing at the now-destroyed Vernon Downs in upstate NY, steeplechasing at the Iroquois Steeplechase in TN, and flat racing in OK, KY, and NY. I’m not super into horse racing, but I somehow find myself at the track more often than I realize! 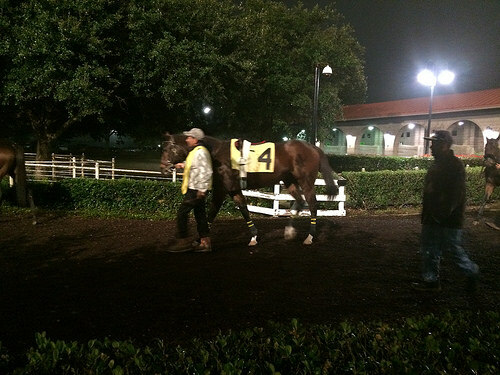 If I remember correctly Don raced at Retama and Sam Houston. 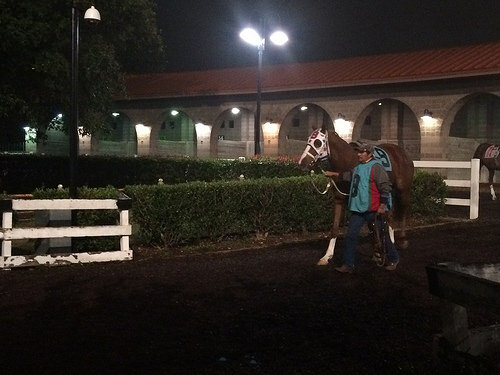 I personally have only been to lone star park once to see the races, but I would go again. Maybe not in the middle of July in Texas though. You know what is even better than watching the races? Getting to be involved with the horses racing! It is what completes our summer! Sounds fun! It’s such a love hate thing for me. I love watching but I hate the dark side of it. I don’t think I’ve watched QH racing in person but we have someone near us that breeds for that. Okay, so it’s not just me! Is there any good money in it? With only one Arab race on the card, it kinda seemed like ‘what’s the point?’ although I’m sure an Arabian race person would be upset at me for saying that! I went to my first race this summer! It was super fun and I won $20! Sounds like a pretty good night to me! I’ll make it to the track one of these days. I’ve only seen live greyhound racing when I lived in FL. But I have lived 15 miles from a horse track for the last 14 years. And have actually been inside for an end of year show banquet, but never saw a race. I need to get on that bandwagon! I guess I feel I need to go with someone who knows the ropes. Greetings from Poland! 🙂 I really enjoy reading your blog. Simon looks amazing ! We have Golden Gate Fields close by and with $1 days on Sunday (dollar admission, parking, programs, hot dogs, and BEER) it’s hard not to stop by a few Sundays a summer!